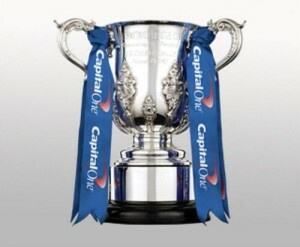 Manchester City hosts West Ham United in the first leg of the Capital One League Cup Semifinal on Wednesday, January 8. The second leg is set to take place on Tuesday, January 21. This could be Manuel Pellegrini’s first of the five expected trophies that he needs to get considering that his Manchester City club is in excellent form and facing a struggling West Ham united team. The Hammers form this season has been quite form except in the Capital One Cup. They began the tournament by winning back to back home matches, 2-1 over Cheltenham and 3-2 over Cardiff City. They then travelled to Burnley and won 2-0 and advanced to the semi-finals by beating Tottenham 2-1. In their four Premier League matches following this win they have lost three and drawn one. They have been outscored by 11-6 in this time and have not kept a clean sheet. They will also be without Kevin Nolan following his second red card of the season that he picked up in their New Year’s Day loss. So far Manchester City has taken every match they have played seriously. They were nearly knocked out by Newcastle United, but came back to score two goals in the second period of extra time. They have advanced by beating Wigan at home, 6-0, beating Newcastle away, and beating Leicester City away, 3-1. They may have had a few difficult matches at the start of the Premier League season, but more recently they have gone on a 12 game unbeaten streak in all competitions with only one draw in that time, 1-1 away to Southampton in the EPL. They have become an attacking goal scoring side that has the ability to shut teams down defensively. I’m predicting a Manchester City win, and one that could put the second leg out of reach. West Ham’s only real chance is to try to nick a set piece or counter attack goal. It is a long shot, but they could have Andy Carroll available, though I doubt that they will want to risk him in a match like this. The last time these two met, on October 19 in the Premier League, Manchester City was 3-1 winners. They have also won four out of their last six meetings with two draws in there as well. Kickoff is set for 19:45 GMT (2:45 pm ET) at the Etihad Stadium. The match is televised live in the United States on beIN Sport with coverage starting at 2:30 pm.